Configurations are available ranging from a basic transmitting sensor that outputs an analog signal to a full feature sensor with audible alarm, RS-485 communication and multicolor backlit LCD readout indicating gas level. The quality of the air we breathe indoor (Indoor Air Quality, IAQ) is typically defined by the air chemical or gas composition and particulates. 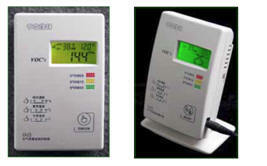 The sensors available today for sensing the gas composition of IAQ have many features and options. There is a wide application base for IAQ sensing with the most common being the regulation of HVAC ventilation systems for lower energy cost. Using an IAQ controller to signal a demand-control-ventilation system will result in a metered volume of fresh air, providing an acceptable air quality at lower cost. IAQ control is also useful for hydroponics and storing food. Configurations are available ranging from a basic transmitting sensor that outputs an analog signal to a full feature sensor with audible alarm, RS-485 communication and multicolor backlit LCD readout indicating gas level. 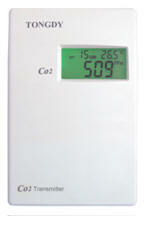 Units are even available with a hand held remote control for setup and operation. The following are examples of IAQ sensor configurations. Units are available with push button a hand held remote control for setup and operation. 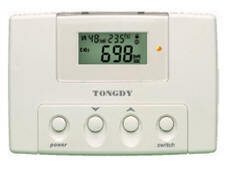 Tongdy Control Technology was founded in 1999, and is located in Beijing, China. 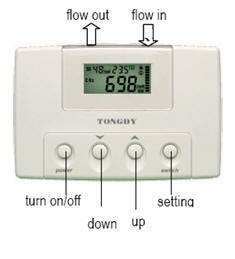 Tongdy is a provider of HVAC digital thermostats, humidity controls and IAQ detectors and controllers. Tongdy's experience in development and design, gained while providing the global market, position it to be a viable supplier of advanced products and solutions. Legacy products lines are sensors and controls for the HVAC market and IAQ products. HVAC products include digital thermostats, digital hygrostats , temperature and humidity transmitters and Modbus or BacNet commercial thermostats. IAQ products include gas detectors, transmitters, alarms, and controls for carbon dioxide, carbon monoxide, ozone and VOCs. 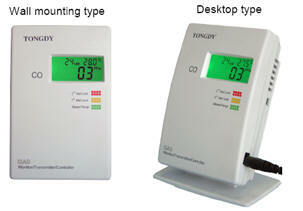 Tongdy also provides custom products to meet special requirements of customers with quick response and good quality. 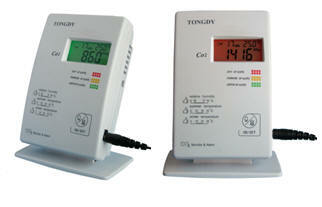 Tongdy's products are distinguished by high quality at a competitive price with a broad sensor and control offering. 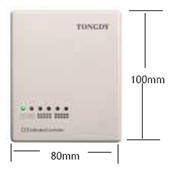 Tongdy's mission is to utilize their vast experience to provide practical solutions in air sensing.